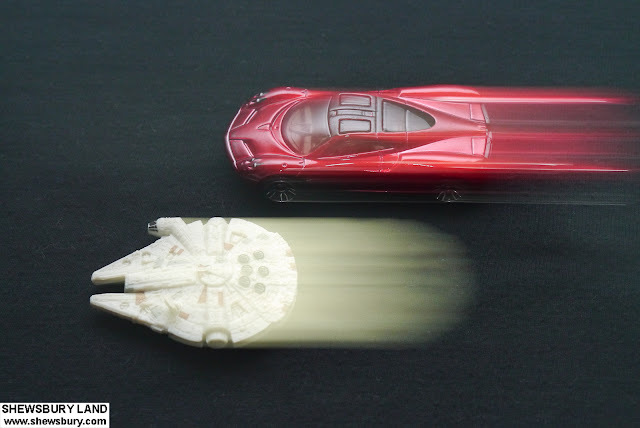 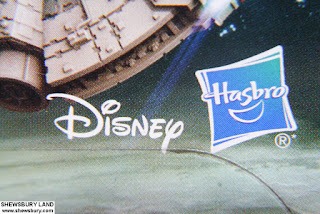 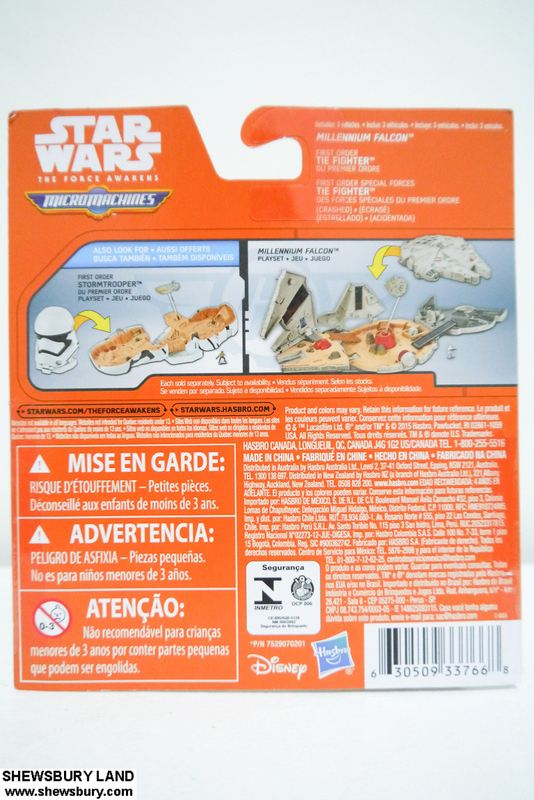 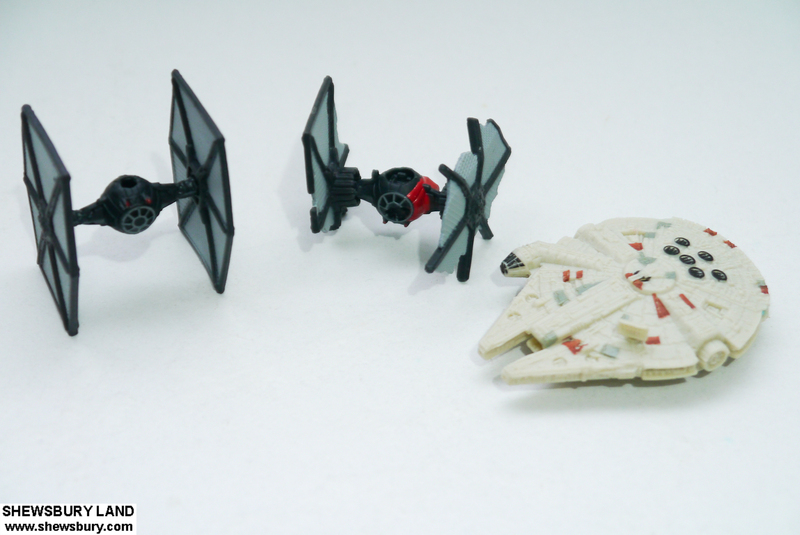 This is a bunch of small size toys from the "Micro Machine Series" of Star Wars The Force Awakens. 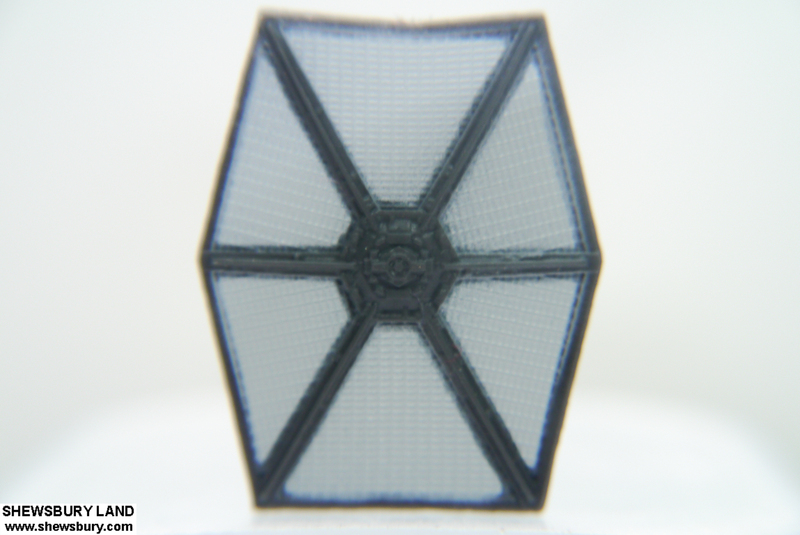 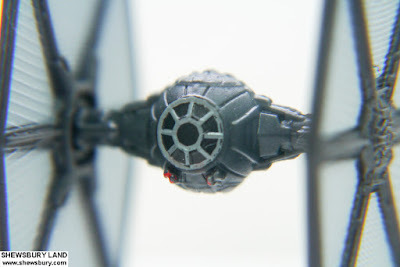 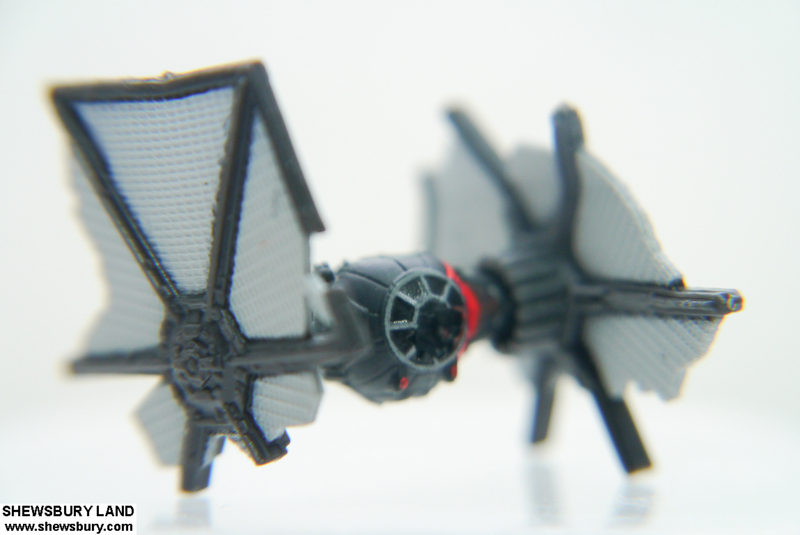 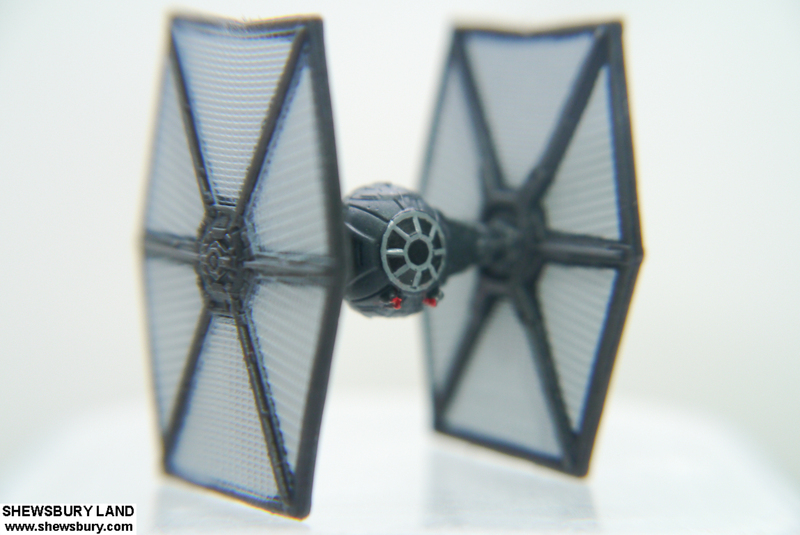 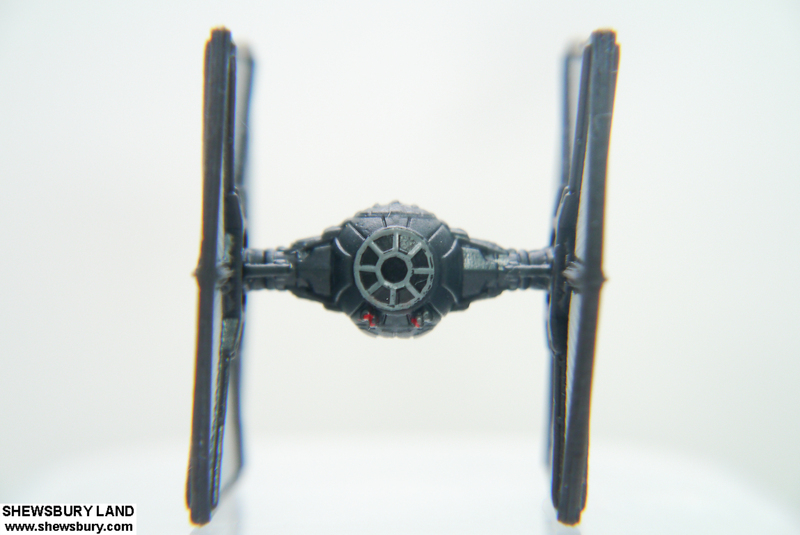 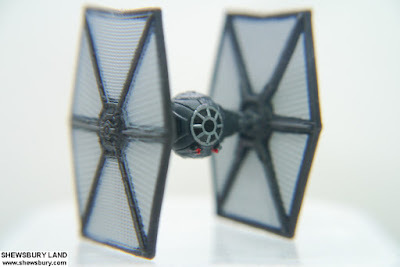 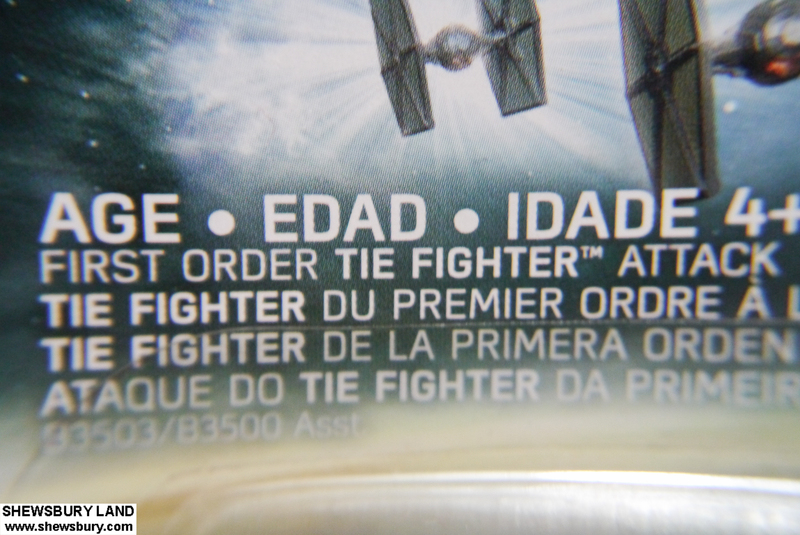 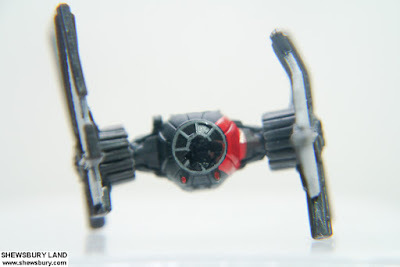 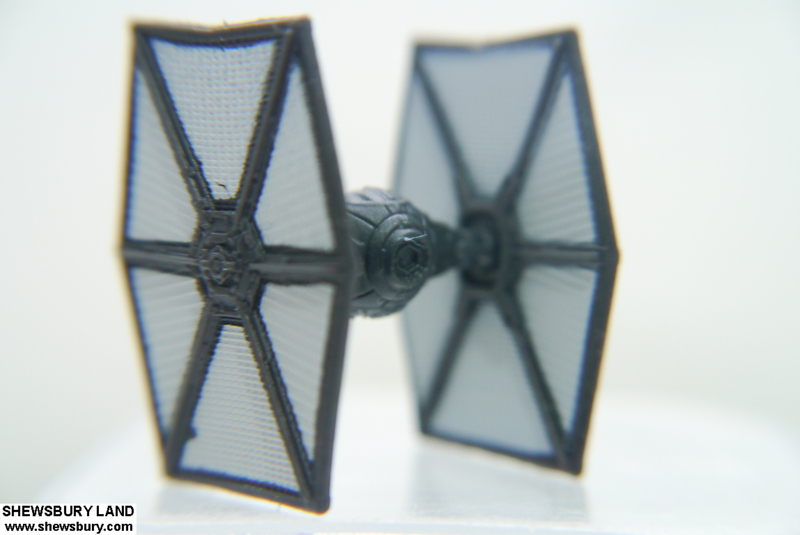 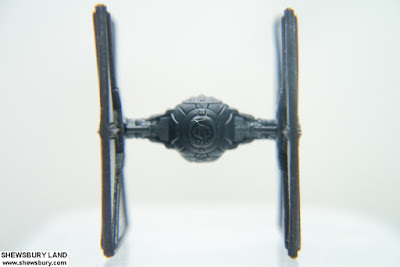 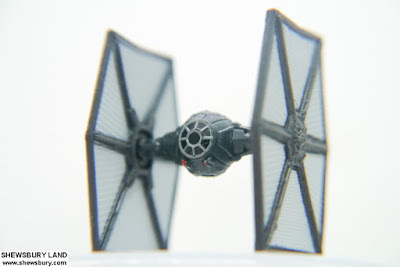 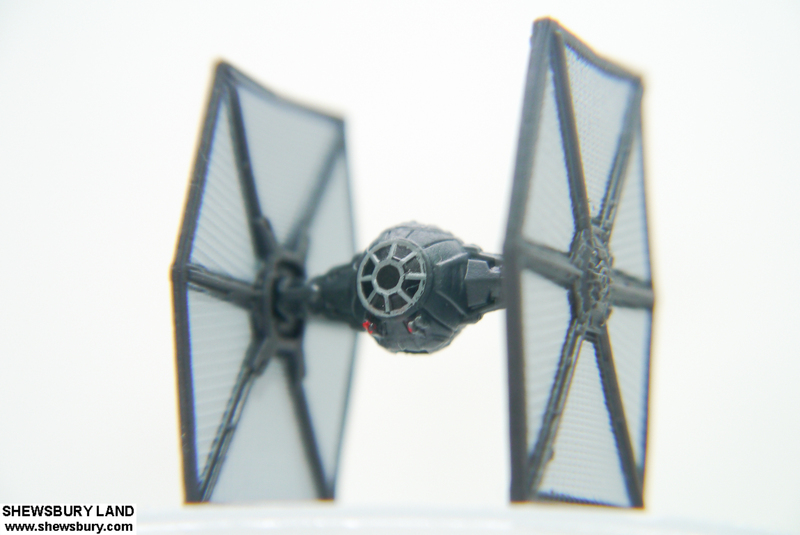 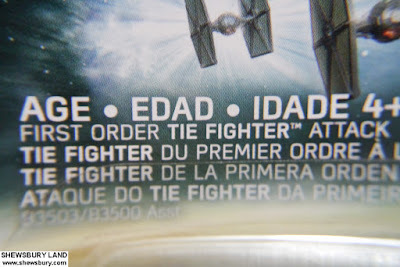 The concept is "First Order Tie Fighter Attack", I guess if you are a fan of the Star Wars series and have watched the movie (The Force Awakens), you should know what that means. 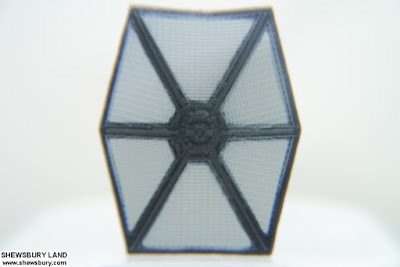 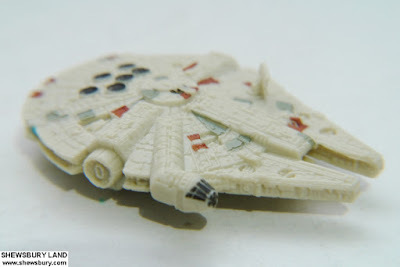 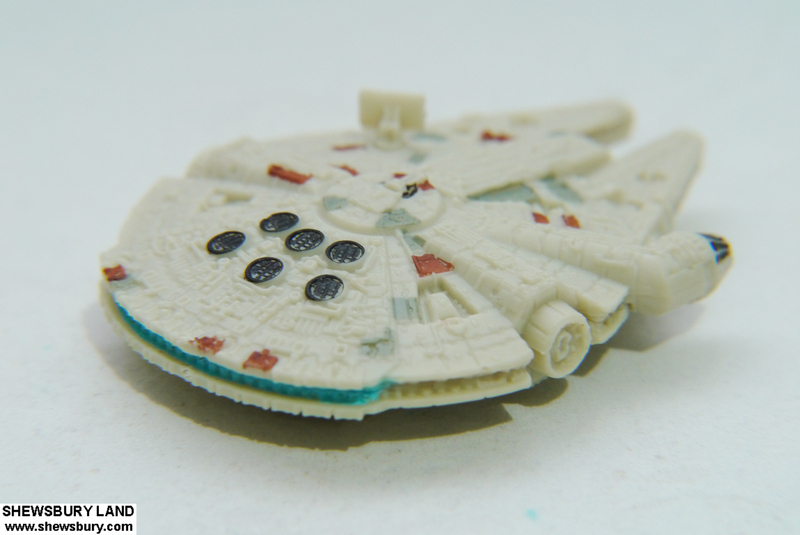 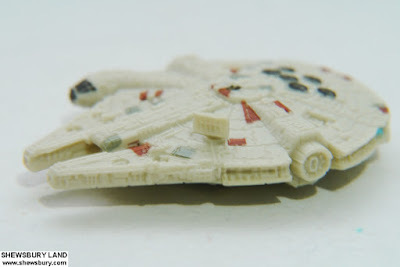 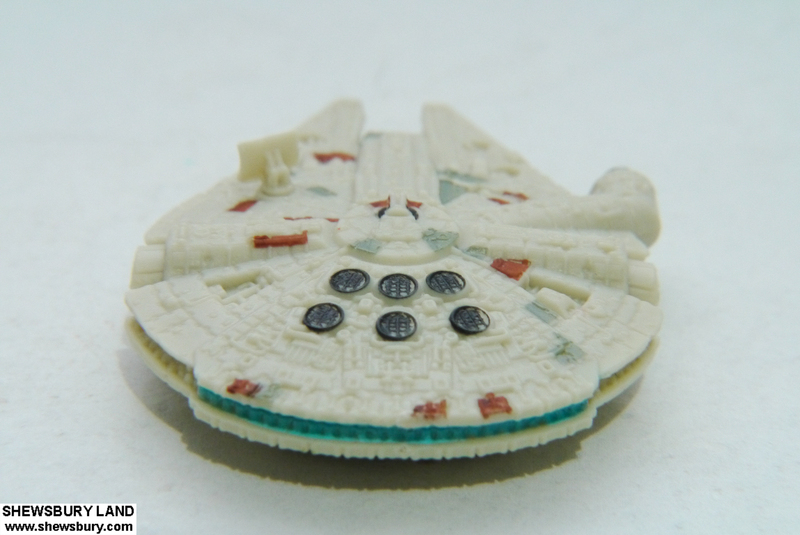 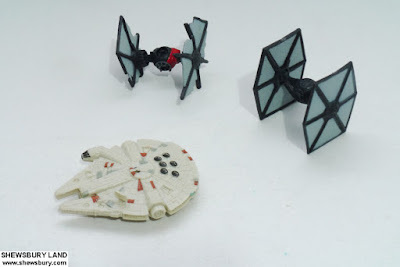 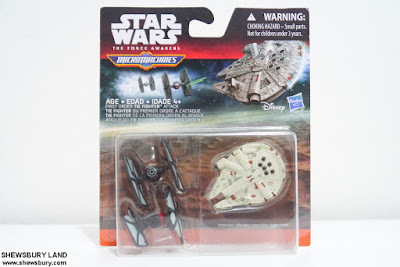 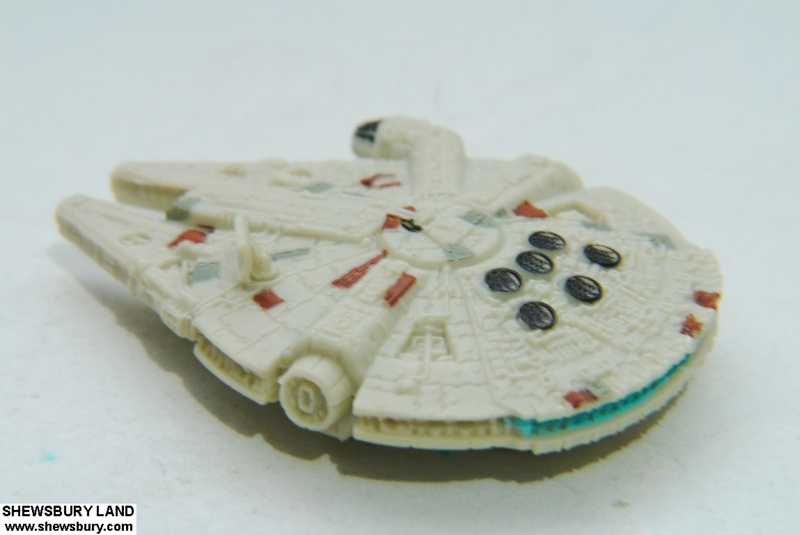 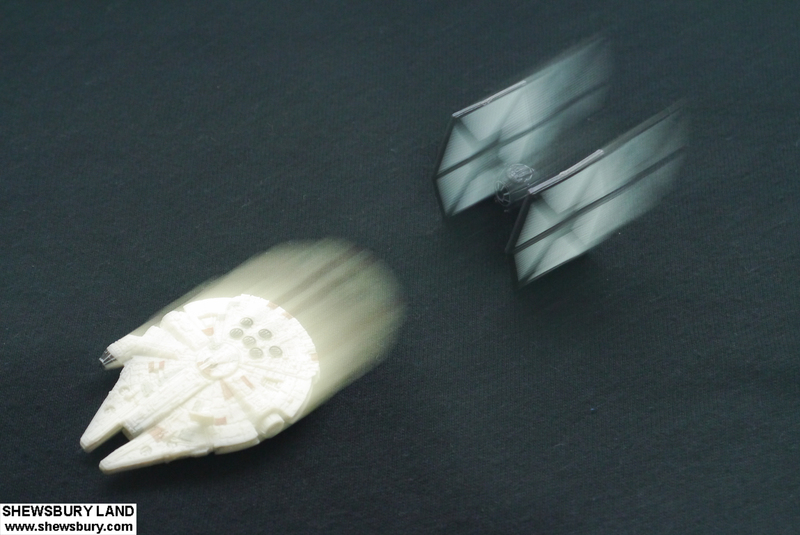 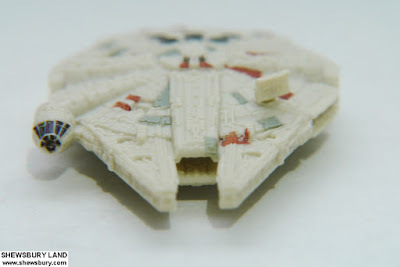 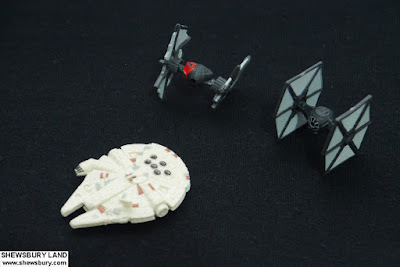 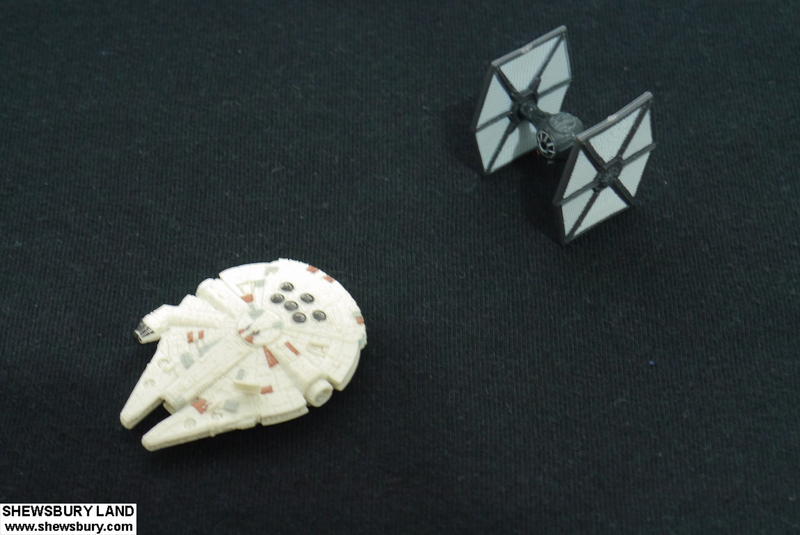 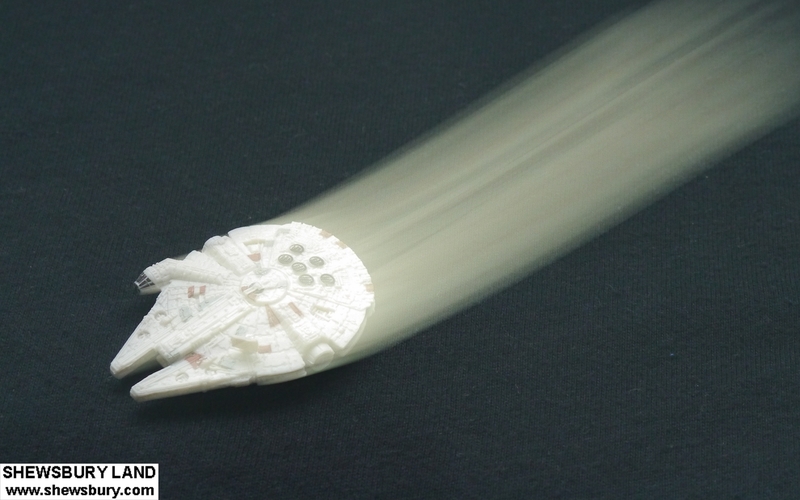 I personally don't know much about it LOL but for me it's 2 units of Tie Fighter with a Millennium Falcon and I always wanted to get the Millennium Falcon, though this is not as big as I would hope for but I guess at the cheap price of SGD 3.00 (USD 2.22 / EUR 2.01 / JPY 227) - no further thinking needed, just grab it!!! 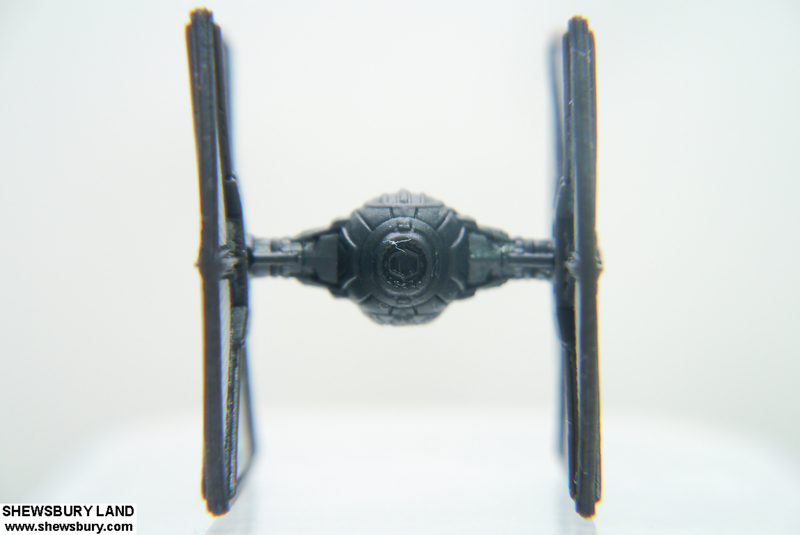 Not much to say, it's a little tiny but the detailing is quite decent for it's size, nothing for me to complain. 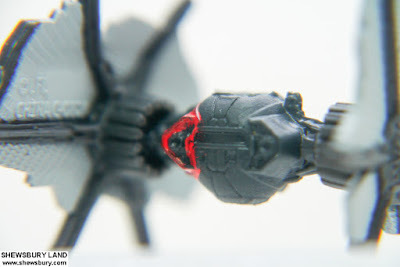 It's pretty decent, yes the battle damage made it looks like a bat suffering from diarrhea but then again I think the finishing is quite good. 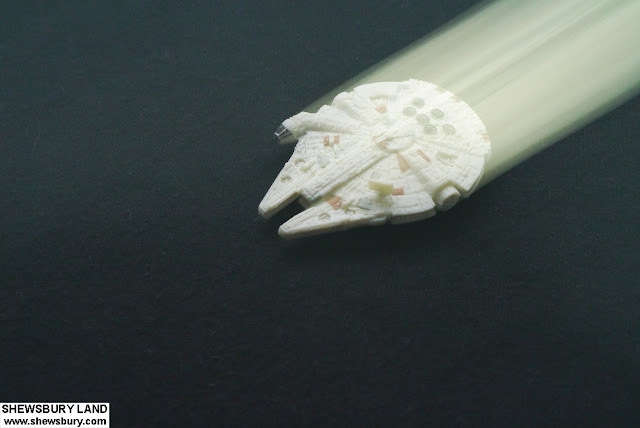 The Millennium Falcon looks pretty decent despite the scale and I think Hasbro have done their best to put in as many detailing as possible for this size and they did a good job at it, nice finishing. 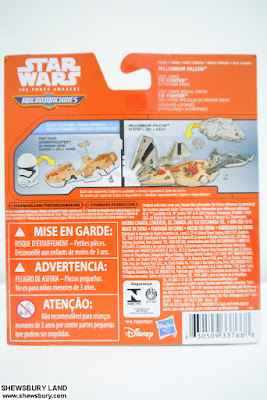 Overall, this is toys from "Micro Machines Series" and as the name suggest, their size is pretty small but that doesn't means they are awful. 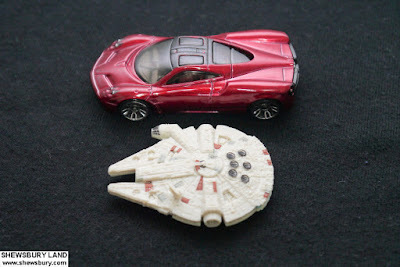 Naturally, we tend to love toys at a decently bigger size, how big is big enough is also depends on each toy collectors personal taste and preferences. 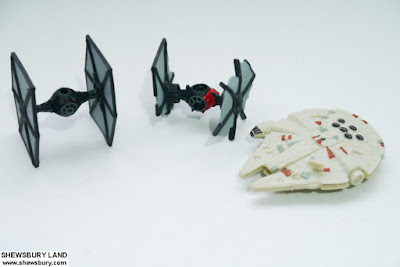 This "Micro Machines Series" is for those who love to have their favorite toys in such a tiny and/or smaller size so that they can carry it to anywhere they want or display it at their table without taking too much of a space because extra space can be pricey. I'm quite happy with the casting and finishing of these 3 items and with the cheap price, it's money well spent!!! I finally got my falcon and I'm happy... simple as that.